The Controversy Part 5 - Pseudo Science Museum --- "Get ready to believe just about anything." 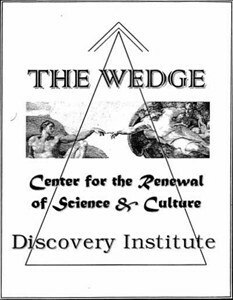 "The Discovery Institute is a non-profit public policy think tank based in Seattle, Washington, best known for its advocacy of intelligent design creationism." To call them a "think tank" is a little misleading. Perhaps "thunk tank" would be more correct term since they clearly stopped thinking years ago. They are the folks who thunk up the whole "Teach the Controversy" campaign in a feeble attempt to get religion into the public schools. The document escaped onto the Internet on Feb. 5, 1999.